Congratulations! You got the grades and earned your place at university. Now, you need to think about what to take to your uni digs. But, don’t worry – we’ve got you covered with our essential university checklist! Moving away from home for the first time can be daunting. However, with a few of our top university living essentials, we can make your halls of residence a home away from home. Keep reading for some stylish and affordable ideas, as well as your essential uni checklist. 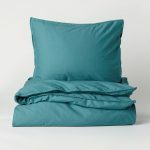 We love the bed linen range from H&M Home. There are loads of different designs, colours and styles to suit every décor need – and they’re really reasonably priced. Add a couple of accent cushions and a throw to create a relaxing, inviting cosy space to chill out after a hard day of lectures and studying. And don’t forget that you’ll also need to buy sheets, and maybe even a blanket to keep you warm! 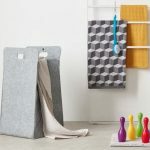 Whether you take your weekly laundry down to the laundrette or back home, a stylish laundry hamper is a must. You don’t want to be caught with your smalls lying on the floor of your room! We love this simple and contemporary utilitarian design from Made.com. 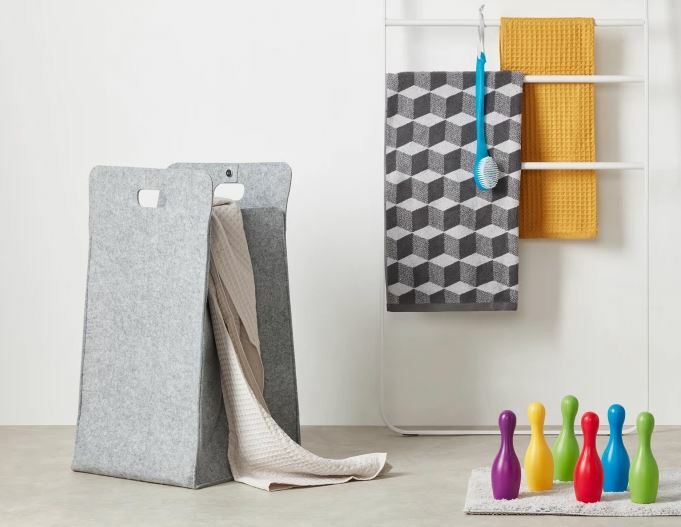 Made from thick felt, this laundry basket is stylish and durable. It can also be folded and stored away, so, it’s easy to pop it away when you’re done! You may have cupboards. You may have shelves. But never underestimate the benefits of extra places to conceal clutter. 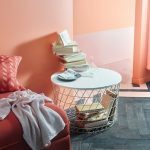 This storage table from Ikea is key when it comes to furnishing your university room. It’s perfect for storing anything and everything from newspapers and books, to bed linen and towels. The simple wire frame design makes it easy to move and lift, so it’s ideal when moving into your halls of residence.if you don’t want to see the contents, cover it with a cheap throw or tablecloth. Combine photos, cards, memos and artwork for a personalised arrangement. 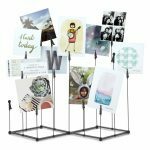 This unique picture holder from Umbra has 15 stands at varying heights to hold your images. Pull the base width-wise to expand for more space or retract to save space. Stylish and useful, this will let you display your precious memories of home, family, pets or good times with your friends. And, of course, you can update them as your uni experience unfolds!